Autism Research and Resources of Oregon (ARRO) is a non-profit organization dedicated, in part, to developing, and maintaining, the ARRO Westside Center so it can continue to provide the Autism community with a place to meet, share ideas, offer support, and provide autism-related services. 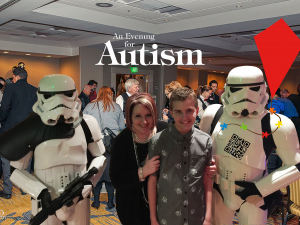 Financial support for the Center, the Website, assistance programs, lectures and more is derived entirely from Donations, and from fun filled events like annual Sean's Run from Autism, Arrtism Pirate Run, and periodic fundraisers throughout the year. Have you considered our Westside Family Center? Acceptable file types: doc, docx,pdf,txt,gif,jpg,jpeg,png.